What’s that? Why am I listening to an early-’00s record by an unimportant brit-pop band? Well, I was digging around on Wikipedia today, and somehow landed on the Kaiser Chiefs page. 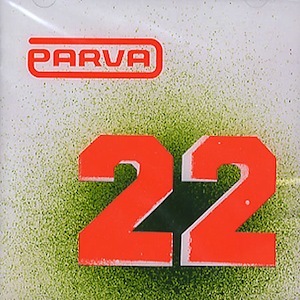 Little did I know, one of my favorite more-pop-than-rock bands went through a couple of name changes….Before Kaiser Chiefs released Employment to massive success in 2005, a little, unknown band called Parva released a record called 22. I wasn’t expecting much going into this. I figured that if the band decided that they needed a name change, their previous releases must have been pretty horrid—almost like they were trying to escape their past. This record is pretty good, though, so I guess what happened is the guys realized that Parva is a bad band name, and that Kaiser Chiefs is a good one, so they decided to make the switch. When I first started listening to 22, I figured that Wikipedia had mislead me; that I got my hands on something completely non-Kaiser-ish. “Heavy,” while interesting in its own right, sounds absolutely nothing like anything I’ve ever heard by Kaiser Chiefs. Fuzzy, distorted guitars, rough, un-altered vocals, and a whole lot of anger dominate, making for something that doesn’t sound like anything you’d hear on a crisp and produced record by today’s Chiefs. But I don’t mind; this stuff is good as well. There’s so much raw emotion on this record—it makes Ricky Kaiser sound like he isn’t really giving it his all now…although I don’t think a Parva show could ever have been as fun as a Kaiser Chiefs concert.